Saturday & Sunday February 9th & 10th. Taste new releases of 2015 Bison Heart Petite Sirah & 2016 Noble Beast Cabernet Sauvignon. Souvenir “Bison Heart” Valentines Wine Glass release. 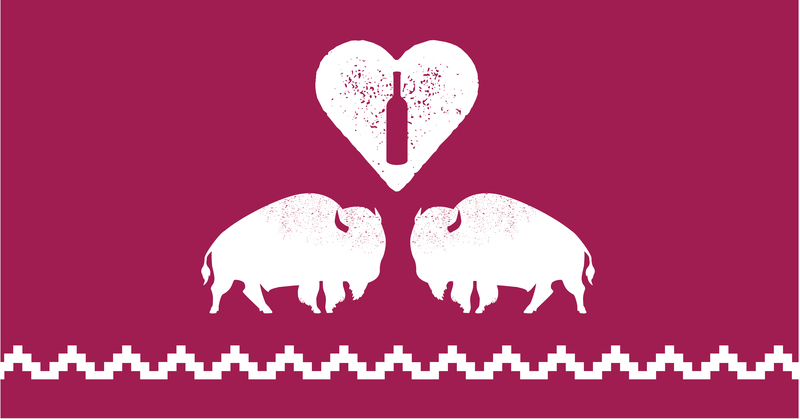 Select Wines by the glass only $5.00 and $20/bottle sale on 2017 Bison Blanc Viognier & 2015 Where the Buffalo Roam.